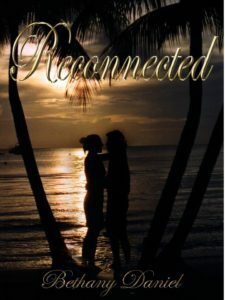 Book One: Reconnected Blurb: A fast paced love story! One night after a particularly crazy party, Katy can’t take it anymore and leaves Liam and his celebrity behind but doesn’t get an official divorce. Four years later, Liam goes to Georgia for filming and crosses paths with Katy again. But now she’s just Kate and she has a boyfriend and she doesn’t want anything to do with her marriage. Liam has other plans. Bethany Daniel lives in Texas with her husband and 2 boys. She enjoys reading, photography and of course, writing. When she’s not doing that she spends a lot of time chasing her 3 and 4 year old!